Experience true beauty sleep with the Hurraw! Moon Balm; an ultra-hydrating formula that cares for skin using premium organic, vegan and raw ingredients. Combining scents of Vanilla and Peru Balsam, the balm seeks to lull you into a deep sleep so the formula can work overnight whilst skin is most receptive to repair. The extra thick lip balm is formulated with vitamin-rich Avocado Oil, Meadow Foam Seed Oil and Argan Oil, which work in synergy to envelop lips in a veil of long-lasting moisture that is able to prevent night time moisture loss. 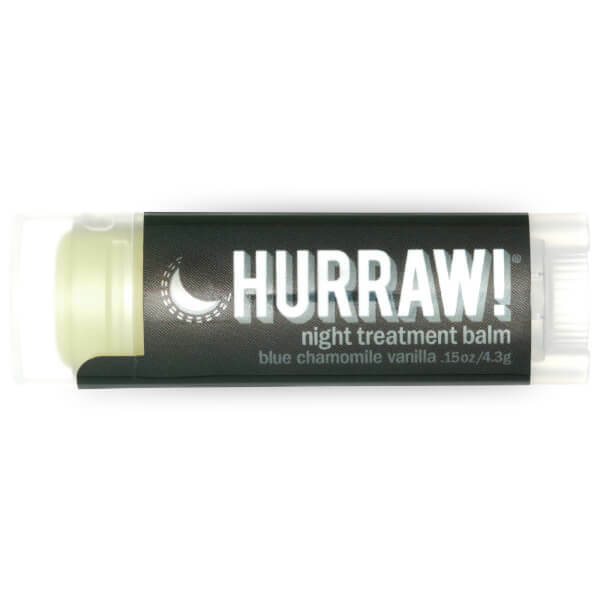 The balm is effective on all skin types and works wonders on sensitive and problem lips. Expect to awake to calm and comfortable lips that are soothed and rejuvenated. Persea Gratissima (Avocado) Oil, Prunus Amygdalus Dulcis (Sweet Almond) Oil, ‡Euphorbia Cerifera (Candelilla) Wax, *Theobroma Cacao (Cocoa) Seed Butter, *Cocos Nucifera (Coconut) Oil, *Ricinus Communis (Castor) Seed Oil, Olea Europaea (Olive) Fruit Oil, *Argania Spinosa (Argan) Kernel Oil, *Rosa Rubiginosa (Rosehip) Seed Oil, *Limnanthes Alba (Meadowfoam) Seed Oil, Tocopherols (Sunflower), *Vanilla Planifolia (Vanilla) Bean, *Myroxylon Pereirae (Peru Balsam) Oil, Matricaria Recutita (Blue Chamomile) Flower Extract. *Organic & Cold Pressed.